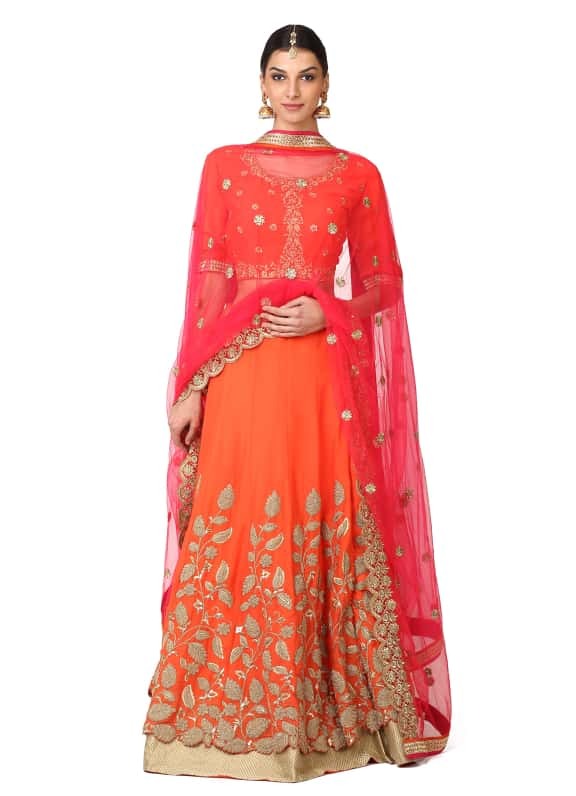 This ensemble features an orange skirt and blouse with floral zari work all over. 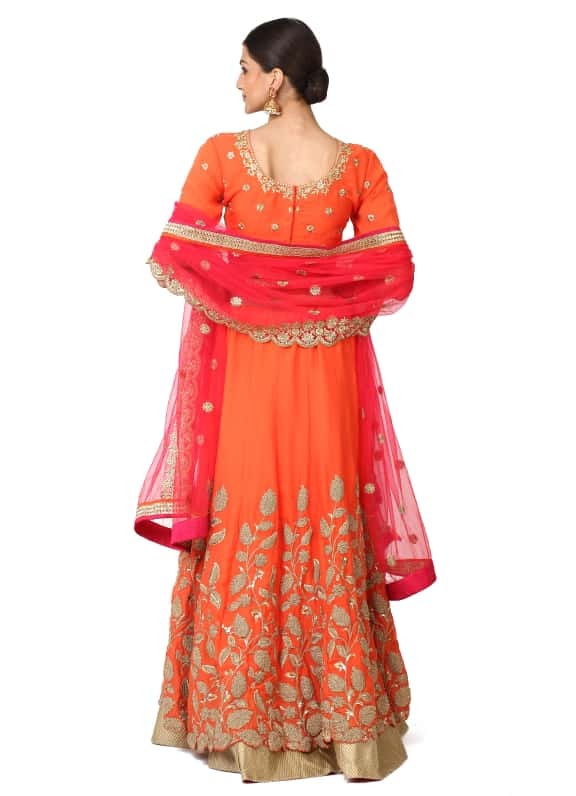 It is paired with a contrasting red dupatta. 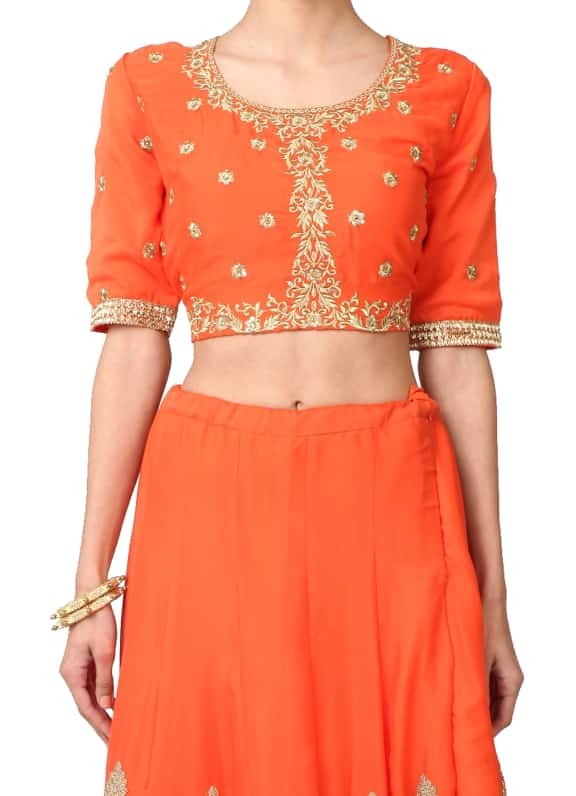 Colour blocking at it's best! 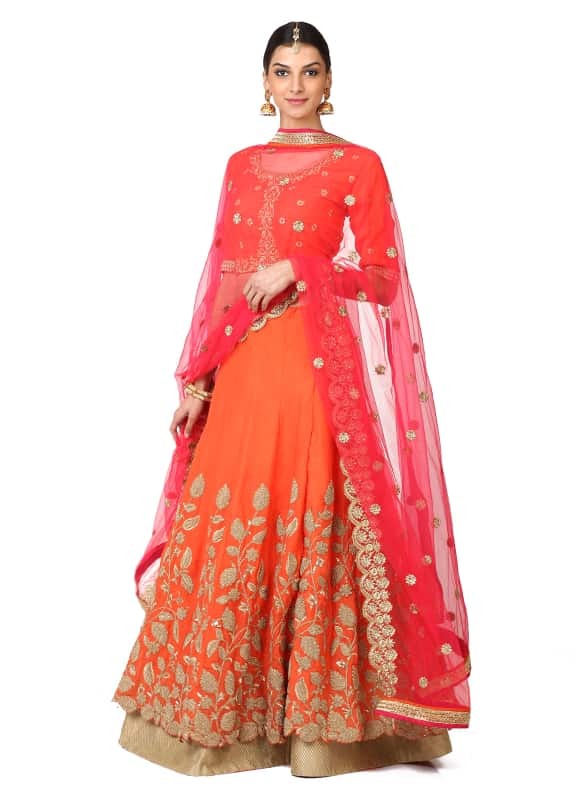 Wear this striking tangerine lehenga set for your sangeet night with a statement maang tikka and earrings by Amethyst.